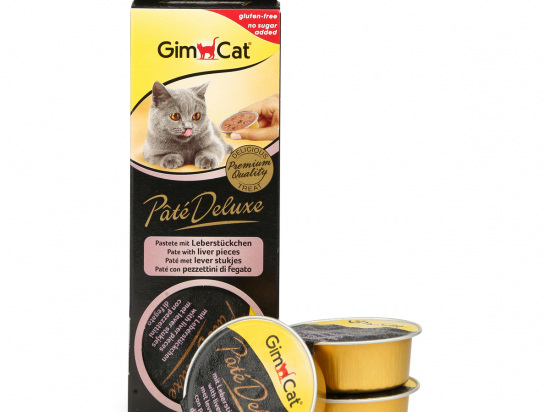 GimCat Pâté Deluxe with liver pieces is a delicious treat for your cat. A tasty pate, that no cat can resist. Feed your cat directly by hand – for moments of mutual affection; that are worth their weight in gold.